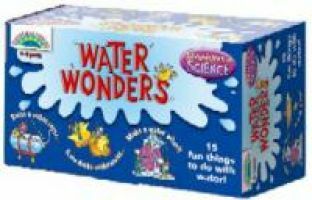 Explore the dark depths and the secrets of the shallows with the Water Wonders science kit! With 15 wet activities, be prepared to soak up some serious science! Teachers and babysitters, this makes a great activity for your kids too! Continue your scientific research with the Kitchen Discoveries and Outdoor Explorer science kits!